7 R Dean Taylor Theres a Ghost in My House . Determination helped create a multimillion dollar record company by a Detroit songwriter in 1959. 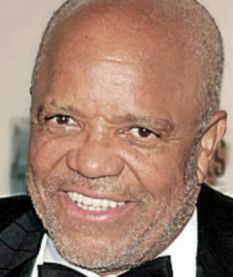 Celebrating its 50th anniversary in 2009, Motown Records was founded by Berry Gordy, who as its originator and president proved the American Dream could be realized. 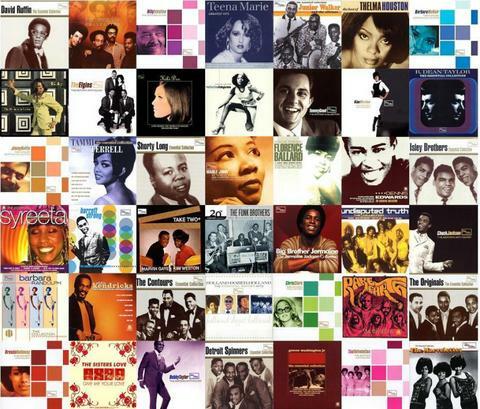 Motown has owned or distributed releases from more than 45 subsidiaries in varying genres, although it is most famous for its releases in themusic genres of rhythm and blues,soul, hip hop, and pop. Motown Records left Detroit for Los Angeles in 1972, and remained an independent company until June 28, 1988, when Gordy sold the company to MCA and Boston Ventures (which took over full ownership of Motown in 1991), then to PolyGram in 1994. Berry Gordy got his start as a songwriter for local Detroit acts such as Jackie Wilson and The Matadors. Wilson's single "Lonely Teardrops", written by Gordy, became a huge success; however, Gordy did not feel he made as much money as he deserved from this and other singles he wrote for Wilson. He realized that the more lucrative end of the business was in producing records and owning the publishing. 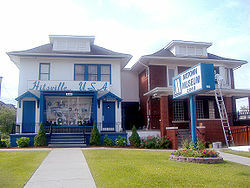 TheHitsville U.S.A. building, 2648 West Grand Boulevard, Detroit, Michigan, which served as Motown's headquarters from 1959 until 1968. In 1959, Billy Davis and Berry Gordy's sisters Gwen and Anna started Anna Records. Davis and Gwen Gordy wanted Berry to be the company president, but Berry wanted to strike out on his own. On January 12, 1959, he started Tamla Records, with an $800 loan from his family. Gordy originally wanted to name the label "Tammy" Records, after the popular song by Debbie Reynolds. When he found the name was already in use, he decided on Tamla instead. 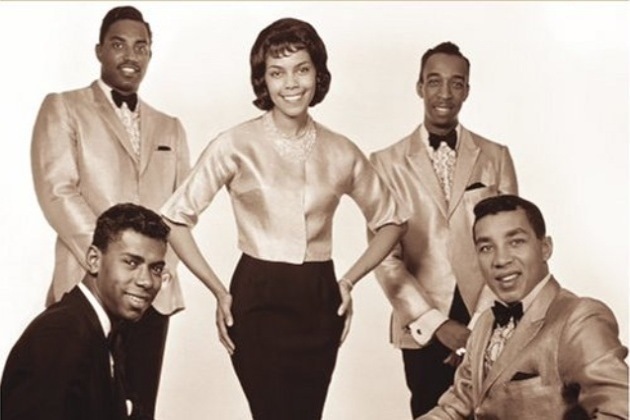 Gordy's first signed act was The Matadors, a group he had written and produced songs for, who changed their name to The Miracles when Tamla signed them. Miracles lead singer Smokey Robinson became the vice president of the company (and later named his daughter "Tamla" and his son "Berry" out of gratitude to Gordy and the label). Many of Gordy's family members, including his father Berry, Sr., brothers Robert and George, and sister Esther, were eventually given key roles in the company. By the middle of the decade, Gwen and Anna Gordy had joined the label in administrative positions as well. 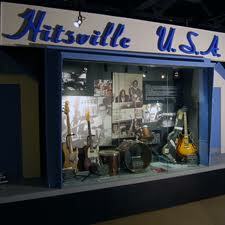 Also in 1959, Gordy purchased the property that would become Motown's Hitsville U.S.A. studio. The photography studio located in the back of the property was modified into a small recording studio and the Gordys moved into the second floor living quarters. Within a few years, Motown would occupy several neighboring houses with administrative offices, mixing, mastering and rehearsal studios. 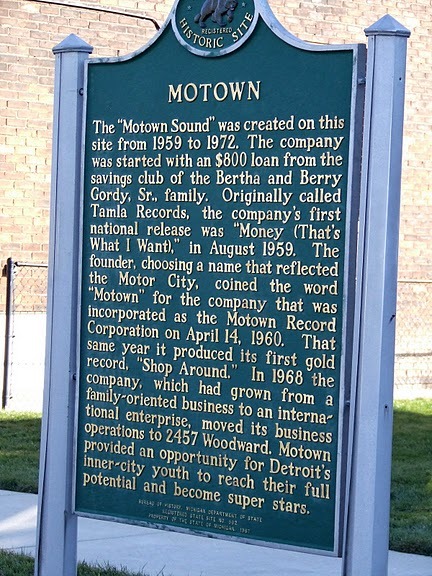 Gordy founded a second label, Motown Records, in September 1959. The first Motown release was the Miracles' "Bad Girl". 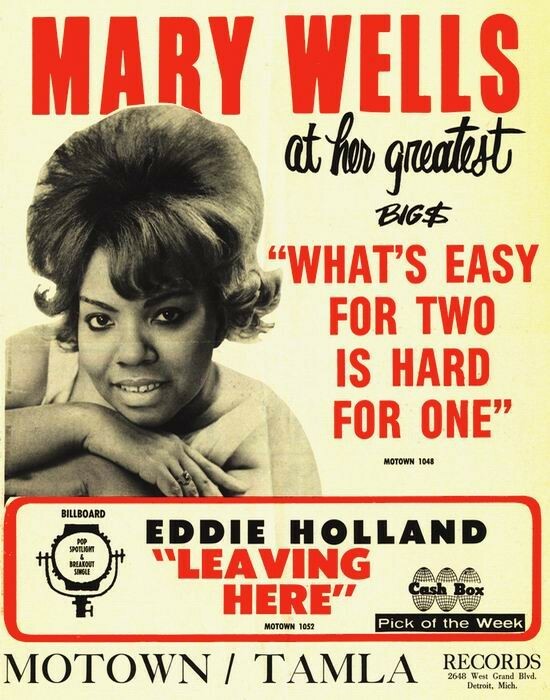 Among early Tamla/Motown artists were Mable John, Barrett Strong and Mary Wells. Tamla's first release was Marv Johnson's "Come to Me" in 1959. Its first hit was Barrett Strong's "Money (That's What I Want)" (1959), which made it to 2 on the Billboard R&B charts; its first 1 R&B hit was "Shop Around " by the Miracles in 1960. "Shop Around" peaked at number two on the Billboard Hot 100, and was Motown's first million-selling record. 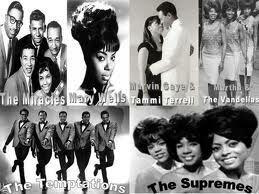 On April 4, 1960, Motown Records and Tamla Records became incorporated as Motown Record Corporation. 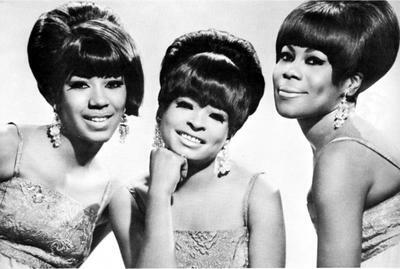 A year later, The Marvelettes scored Tamla's first US 1 pop hit, "Please Mr. Postman." By the mid-1960s, the label, with the help of songwriters and producers such as Robinson, A&R chief William "Mickey" Stevenson, Brian Holland,Lamont Dozier, and Norman Whitfield, was a major force in the music industry. From 1961 to 1971, Motown had 110 top 10 hits, and artists such as Stevie Wonder, Marvin Gaye, The Supremes, The Four Tops, and The Jackson 5, were all signed to Motown labels. The company operated several labels in addition to the Tamla and Motown imprints. 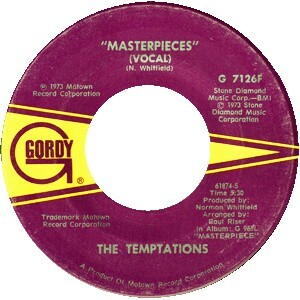 A third label, which Gordy named after himself (though it was originally called "Miracle") featured The Temptations,The Contours, and Martha and the Vandellas. A fourth, V.I.P., released recordings by The Velvelettes, The Spinners and Chris Clark . A fifth label, Soul, featured Jr. Walker & the All Stars,Jimmy Ruffin, Shorty Long, and Gladys Knight & the Pips (who had found success before joining Motown, as 'The Pips' on Vee-Jay). Many more Motown-owned labels released recordings in other genres, including Workshop Jazz (jazz), Mel-o-dy (country, although it was originally an R&B label), and Rare Earth (rock). Under the slogan "The Sound of Young America", Motown's acts were enjoying widespread popularity among black and white audiences alike. Into the '60s, I was still not of a frame of mind that we were not only making music, we were making history. But I did recognize the impact because acts were going all over the world at that time. I recognized the bridges that we crossed, the racial problems and the barriers that we broke down with music. I recognized that because I lived it. I would come to the South in the early days of Motown and the audiences would be segregated. Then they started to get the Motown music and we would go back and the audiences were integrated and the kids were dancing together and holding hands. In 1968, Gordy purchased the Donovan building on the corner of Woodward Avenue and Interstate 75, and moved Motown's Detroit offices there (the Donovan building was demolished in January 2006 to provide parking spaces for Super Bowl XL. The same year, Gordy purchased Golden World Records, and its recording studio became "Studio B" to Hitsville's "Studio A". 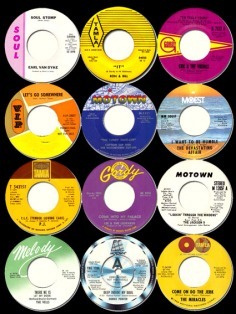 In Britain, Motown's records were released on various labels: at first London (only the Miracles' "Shop Around" Who's Lovin' You" and "Ain't It Baby"), then ("Please Mr. Postman" by the Marvelettes was one of four), Oriole American ("Fingertips" by Little Stevie Wonder was one of many), EMI's Stateside ("Where Did Our Love Go " by the Supremes and "My Guy" by Mary Wells were Motown's first British top-20 hits), and finally EMI's Tamla-Motown ("Stop In The Name Of Love" by The Supremes was the first release in March 1965 and "Ain't That Peculiar" by Marvin Gaye was among many others). After the songwriting trioHolland–Dozier–Holland left the label in 1967 over royalty payment disputes, Norman Whitfield became the company's top producer, turning out hits for The Temptations, Marvin Gaye, and Gladys Knight & the Pips. In the meantime, Berry Gordy established Motown Productions, a television subsidiary which produced TV specials for the Motown artists, including TCB with Diana Ross & the Supremes and The Temptations, Diana! withDiana Ross, and Goin' Back to Indiana with The Jackson 5. The company loosened its production rules, allowing some of its longtime artists the chances to write and produce more of their own material. This resulted in the recordings of successful and critically acclaimed albums such as Marvin Gaye's What's Going On (1971) and Let's Get it On (1973), and Stevie Wonder's Music of My Mind (1972),Talking Book (1972), and Innervisions(1973). 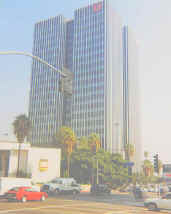 Motown had established branch offices in both New York City and Los Angeles during the mid-1960s, and by 1969 had begun gradually moving more of its operations to Los Angeles. The company moved all of its operations to Los Angeles in June 1972, with a number of artists, among themMartha Reeves, The Four Tops, Gladys Knight & the Pips, and Motown's Funk Brothers studio band, either staying behind in Detroit or leaving the company for other reasons. The main objective of Motown's relocation was to branch out into the motion picture industry, and Motown Productions got its start in film by turning out two hit vehicles for Diana Ross theBillie Holliday biographical film Lady Sings the Blues(1972), andMahogany (1975). Other Motown films would includeThank God It's Friday (1978),The Wiz(1978) and Berry Gordy's The Last Dragon(1985). Ewart Abner who had been associated with Motown since the 1960s, became its president in 1973. Despite losing Holland–Dozier–Holland, Norman Whitfield, and a number of its other hitmakers by 1975, Motown still had a number of successful artists during the late 1970s and 1980s, including Lionel Richie and The Commodores, Rick James,Teena Marie and DeBarge. By the mid-1980s, Motown was losing money, and Berry Gordy sold his ownership in Motown to MCA Records and Boston Ventures in June 1988 for $61 million. In 1989, Gordy sold the Motown Productions TV/film operations to Motown executive Suzanne de Passe, who renamed the company de Passe Entertainment and runs it to this day. During the 1990s, Motown was home to successful recording artists such as Boyz II Men andNew Edition memberJohnny Gill, although the company itself remained in a state of turmoil. A revolving door of executives were appointed by MCA to run the company, beginning with Berry Gordy's immediate successor, Jheryl Busby. Busby quarreled with MCA, alleging that the company did not give Motown's product adequate attention or promotion. In 1991, Motown sued MCA to have its distribution deal with the company terminated, and began releasing its product through PolyGram. Polygram purchased Motown from Boston Ventures three years later. In 1994, Busby was replaced by Andre Harrell, the entrepreneur behind Uptown Records. Harrell served as Motown's CEO for just under two years, leaving the company after receiving bad publicity for being inefficient. Danny Goldberg, who ran PolyGram's Mercury Records group, assumed control of Motown, and George Jackson served as president. By 1998, Motown had added stars such as , Brian McKnight, and rykah Badu to its roster. In December 1998, PolyGram was acquired by Seagram, and Motown was absorbed into the Universal Music Group. Ironically, Seagram had purchased Motown's former parent MCA in 1995, as such Motown was in effect reunited with many of its MCA corporate siblings (Seagram had, in fact, hoped to build a media empire around Universal, and started by purchasing PolyGram). Universal briefly considered shuttering the floundering label, but instead decided to restructure it. Kedar Massenburg, a producer for Erykah Badu, became the head of the label, and oversaw successful recordings from Badu, McKnight, Michael McDonald, and new Motown artist India.Arie. Diana Ross,Smokey Robinson, Stevie Wonder and The Temptations had remained with the label since its early days, although all except Wonder recorded for other labels for several years. Ross left Motown for RCA from 1981 to 1988, but returned in 1989 and stayed until 2002. Robinson left the label in the late 1990s, and the Temptations left a second time in 2004. Wonder is today the only artist from Motown's early period still on the label. In 2005, Massenburg was replaced by Sylvia Rhone, former CEO ofElektra Records. Motown was merged withUniversal Records to create the Universal Motown and placed under the newly created umbrella division of Universal Motown Republic Group which oversees the releases and catalogs for Motown, Universal, Blackground, Republic, Cash Money, Casablanca, and other labels. Motown began celebrating its fiftieth anniversary (January 12, 2009) in late 2008, including the release of a The Complete No. 1's boxset containing Motown 1 hits from Billboard's pop, R&B, and disco charts, reissues of classic-era Motown albums on CD, and other planned events, which were released in collaboration withUniversal Music Group's catalog division Universal Music Enterprises. Universal Motown's current roster includes India.Arie,Kem,andYummy Bingham, pop singer Lindsay Lohan (better known as an actress), reggae singers Damian andStephen Marley, and rappers Q-Tip,Trick Trick and Nick Cannon. Motown's music was crafted with an ear towards pop appeal. 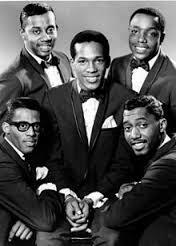 The company specialized in a type of soul music it referred to with the trademark "The Motown Sound". The Motown Sound was typified by a number of characteristics: the use oftambourines to accent theback beat, prominent and often melodic electric bass guitar lines, distinctive melodic and chord structures, and a call and response singing style that originated in gospel music. In addition, pop production techniques such as the use of orchestral string sections, charted horn sections, and carefully arranged background vocals were also used. Complex arrangements and elaborate, melismatic vocal riffs were avoided Motown producers believed steadfastly in the "KISS principle" ("keep it simple, stupid") Berry Gordy used weekly quality control meetings, held every Friday morning, and veto power to ensure that only the very best material and performances the company came up with would be released. The test was that every new release needed to "fit" into a sequence of the top 5 selling pop singles of the week. As a result, several tracks which later became critical and commercial favorites were initially rejected by Gordy, the two most notable examples being a pair ofMarvin Gaye songs, "I Heard It Through the Grapevine" and "What's Going On". In several cases, producers would re-work and re-re-work tracks in hopes of eventually getting them approved at a later Friday morning meeting, as producer Norman Whitfield did with "I Heard It Through the Grapevine" and TheTemptations' "Ain't Too Proud to Beg". 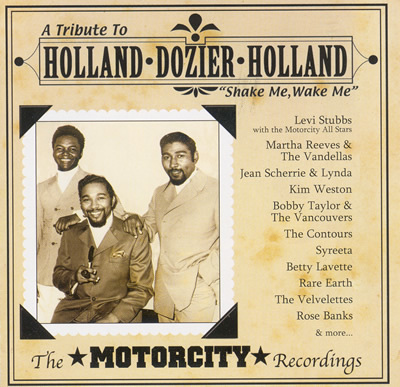 Many of Motown's best-known songs, such as all of the early hits for The Supremes, were written by the songwriting trio of Holland–Dozier–Holland (brothers Brian & Eddie Holland and colleague Lamont Dozier). Other important producers and songwriters at Motown's Hitsville U.S.A.recording studio and headquarters included Norman Whitfield and Barrett Strong,Nickolas Ashford & Valerie Simpson, Frank Wilson, Motown artists Smokey Robinson, Marvin Gaye and Stevie Wonder, and Gordy himself. The many artists and producers of Motown Records collaborated to produce numerous hit songs, although the process has been described as factory-like (such as the Brill Building). The Hitsville studios remained open and active 22 hours a day, and artists would often be on tour for weeks, come back to Detroit to record as many songs as possible, and then promptly set back out on tour again. In addition to the songwriting prowess of the writers and producers, one of the major factors in the widespread appeal of Motown's music was Gordy's practice of using a highly select and tight-knit group of studio musicians, collectively known as "The Funk Brothers", to record the instrumental or "band" tracks of a majority of Motown recordings. 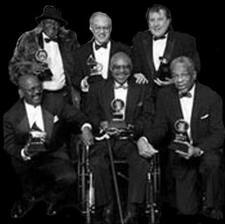 Among the studio musicians responsible for the "Motown Sound" were keyboardists Earl Van Dyke,Johnny Griffith, and Joe Hunter; guitarists Joe Messina, Robert White, and Eddie Willis; percussionists Eddie "Bongo" Brown and Jack Ashford; drummers Benny Benjamin,Uriel Jones, and Richard "Pistol" Allen; and bassists James Jamerson,Etan Nechin and Bob Babbitt. The band's career and work is chronicled in the 2002 documentary film Standing in the Shadows of Motown which publicised the fact that these musicians "played on more number-one records than The Beatles, Elvis, The Rolling Stones, and The Beach Boys combined." Much of the Motown Sound came from the use of overdubbed and duplicated instrumentation. Motown songs regularly featured two drummers instead of one (either overdubbed or in unison), as well as three or four guitar lines. Bassist James Jamerson often played his instrument with only his index finger, and created many of the basslines apparent on Motown songs such as "You Can't Hurry Love" by The Supremes. Established 1960, Motown was and remains the company's main label for mainstream R&B/soul music (and, today, hip hop music as well). The label's numbering system was combined with those of Tamla and Gordy in 1982, and the label (and company) was purchased by MCA in 1988. Notable Motown artists have included Mary Wells, The Supremes,TheFour Tops ,The Jackson 5, Boyz II Men,The Commodores, and Erykah Badu. Motown Records slogan, The Sound Of Young America Tamla Records Established 1959, Tamla was a primary subsidiary for mainstream R&B/soul music. Tamla is actually the company's original label: Gordy incorporated Tamla Records several months before establishing the Motown Record Corporation. 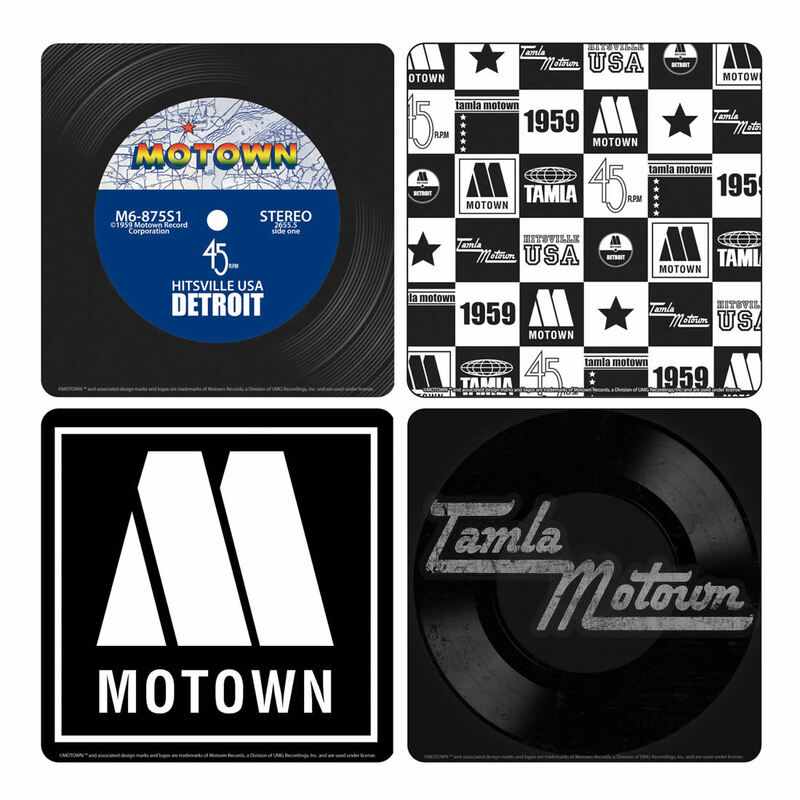 The label's numbering system was combined with those of Motown and Gordy in 1982, and the label was merged with Motown in 1988. Notable Tamla artists included Smokey Robinson & The Miracles, Marvin Gaye, Stevie Wonder, and TheMarvelettes. Tamla Records slogan: "The Sound that makes the world go 'round. Gordy Records Established 1962, Gordy was also a primary subsidiary for mainstream R&B/soul music. Originally known as Miracle Records (slogan: "If It's a Hit, It's a Miracle", the name was changed in 1962 to avoid confusion with the Miracles singing group. The label's numbering system was combined with those of Motown and Tamla in 1982, and the label was merged with Motown in 1988. Notable Gordy artists includedThe Temptations,Martha Reeves & the Vandellas, Edwin Starr , Rick James, and DeBarge. Gordy Records slogan: "It's What's in the Grooves that Counts"
Motown founder Berry Gordy was once a professional boxer before the US army draft for the Korean War put paid to his fighting ambition. In 1959 he created Motown with a loan from his father. The Beatles were hugely influenced by Motown and recorded cover versions of four Motown tracks. Motown was the first record label to run its own 'charm school' for artists who were taught how to perform. In 1966 Berry Gordy refused to sign the Jackson Five because he didn't want to work with any more children. It was Gladys Knight who persuaded him to change his mind a year later. Dreamgirls was believed to have been based on the story of Diana Ross and The Supremes. In the film, the beautiful Deena Jones (Beyoncé) is made the lead singer of an all-girl trio, despite having a weaker voice than Effie White (Jennifer Hudson). Rumour had it that The Supremes' Florence Ballard, was asked to take a back seat in favour of the more photogenic Diana Ross. 94. Martha & the Vandellas . Third finger left hand. Mod is not just for the weekend - it's how you live your life - it's everyday - it's a way of life! Don't just say you're a mod - make sure you know the score - find out what it's all about (the music, the style, the culture etc) and be sussed. A mod is someone who wants to be different - don't blend in with the crowd - stand out - be prepared to look different and get noticed. It goes back to being sussed - check out images of mods (look at record sleeves, books, online) look at the coolest guys in those pictures - notice how they button their jackets, how they wear their trousers, how they stand, the way they walk...there are things that are just right and the mod look is as much about the details as the design. You don't need a scooter to be a mod but it certainly looks good if you do and, as with everything else, you want to get it right (see commandments 2, 4 & 5) - make sure it stands out and ride it the mod way...you know the score! For mods, music is key and, whether its blaring horns, the velvet sound of strings or a wild guitar and drum beat, embrace it with your soul and let your heart dance! If it ever looks like something is getting too popular or becoming commercialised - drop it and find something new. Always stay one step ahead of the rest. Forget all these bloody commandments (especially this one) and make your own - or better still have no rules at all. Just be a mod, do anything you wanna do - do it anyway, anyhow, anywhere - and have fun!